The Canteen is open from 8.30am Wednesday – Friday. 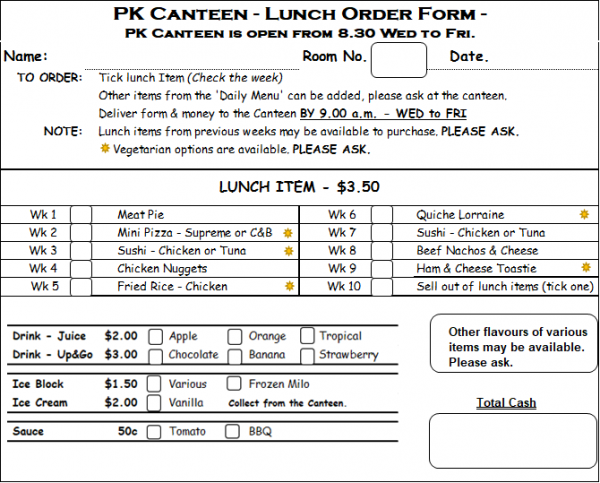 To order lunch, deliver the order form and correct money before 9am on the day. Order forms are available from the canteen or front office. Canteen order bags can be purchased from the canteen for 5c each.